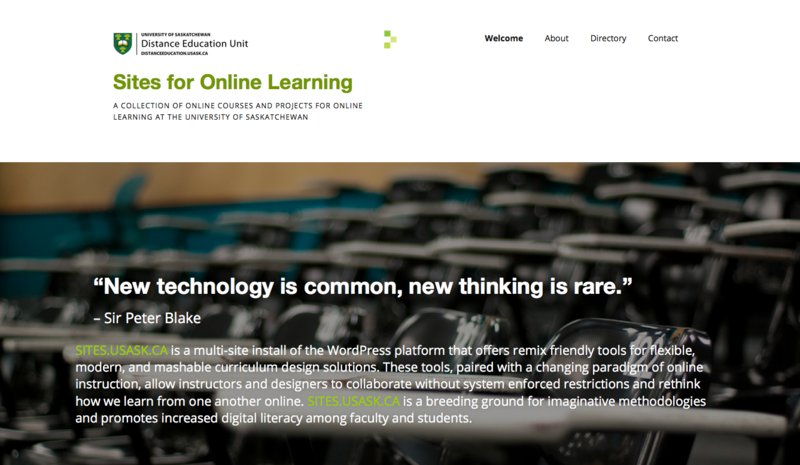 OPENPRESS.USASK.CA is an online publishing platform maintained by the Distance Education Unit (DEU)at the University of Saskatchewan. Using Pressbooks™ as the platform the Open Press publications have just begun at the University. 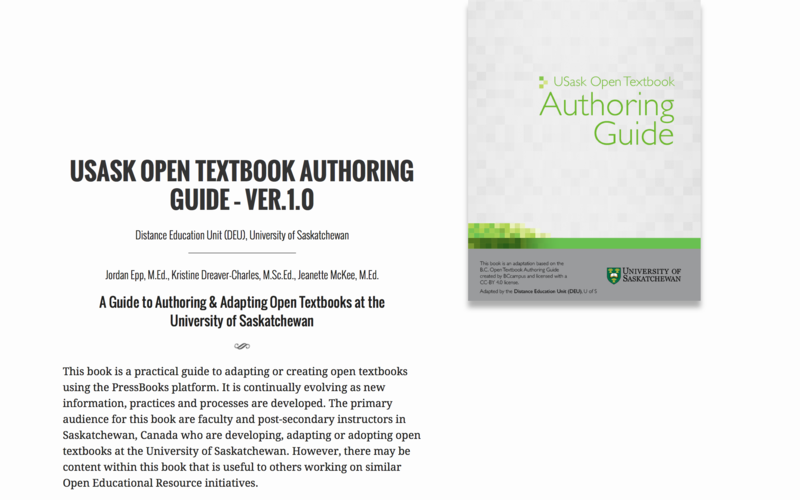 The adoption and adaptation of Open Textbooks at the U of S has been an organic process up until this past year. With Faculty and departments independently making use of Open Textbooks and resources to fulfill their own course needs. In 2015 the U of S announced the Open Textbook Creation/Adaptation Fund. The DEU has stepped up to become the project development team to support these funded activities as well as the growing number of grassroots developments taking place on campus. As of 2016 we have several major textbook developments, some adaptations, and a handful of grey literature being developed using our open publisher. The Educational Technology Critique (ETC) Makerspace is led by Dr. Marguerite Koole, associate professor in the Educational Technology and Design program in Curriculum Studies, College of Education. 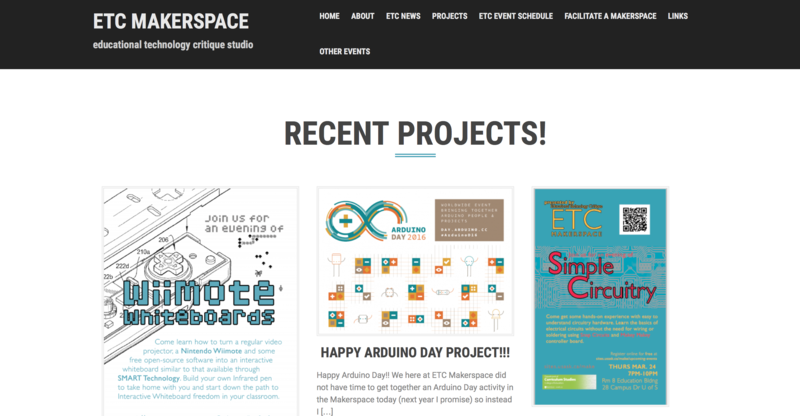 The ETC Makerspace is a monthly meeting time for undergraduate and graduate students, educators and administrators to meet and work hands-on with historic, current, and emerging educational technologies. The focus will be on providing making and experiencing as much as possible. For variety, some studios might offer opportunities to interact with educational technology experts and visionaries. Whenever possible, students will be encouraged to choose topics, facilitate sessions, as well as demonstrate technologies.